How long has it been since you decided to watch a film you knew absolutely nothing about? Well that's what I decided to do with this release, I found myself in a rare situation where I had a chance to view a film that had slipped me by and I could watch it knowing absolutely nothing about it. The one thing that jumped out at me was the Horror film clichés but it just made me laugh because as much as we notice it, it never changes and never will but as-long as it doesn't bother you then you'll be fine. In all honesty the film is pretty generic and has absolute zilch in originality but that's not always a bad thing and the feeling of familiarity works in this films favour as it gets to jump past introductions and straight into the scares. Talking of scares this flick picks it's moments to try and get you, instead of the jump-a-minute films we see all the time and it even had this Horror veteran enthralled with what was going on. 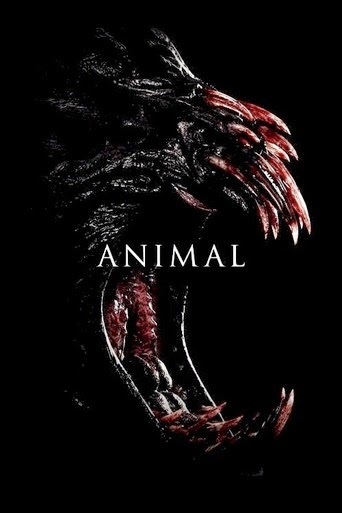 "Animal" is nothing new but that doesn't stop it being packed full of entertainment, if you have nothing else to watch then you could pick worse.